This is Part 3 of the story about Akiko and Amy. The story starts in part 1. Akiko and Amy enjoy their lives, but it’s time for a new challenge. They decide to start a business together. They soon find that running a business is not easy. They have a difficult start, but Akiko has an idea that she hopes will help the business become popular. Will the business fail? Or will it be successful? 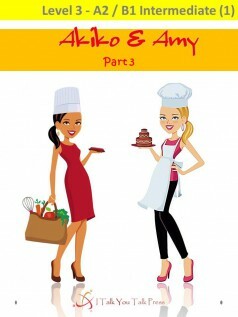 Read the final book of Akiko and Amy’s story to find out!